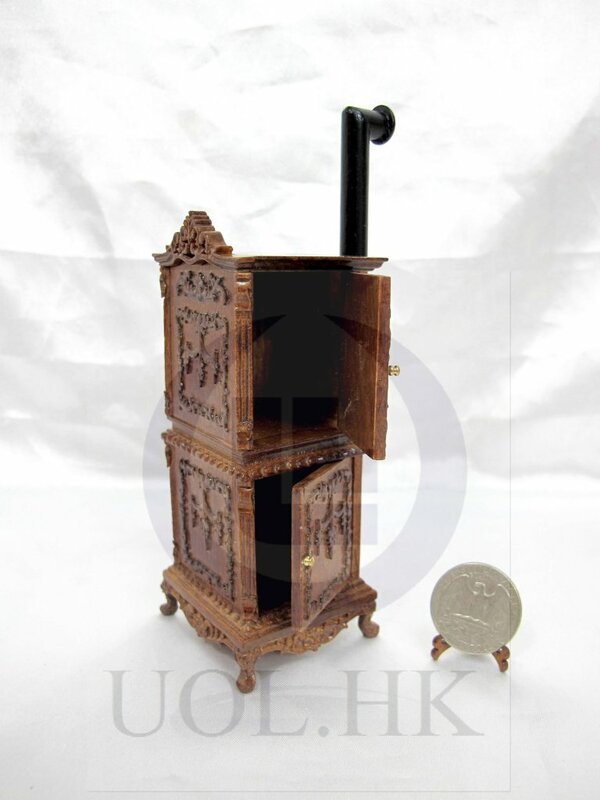 This collector's item is a scale miniature NOT intended for use ​​by children un​​der 14 years of ag​​e. 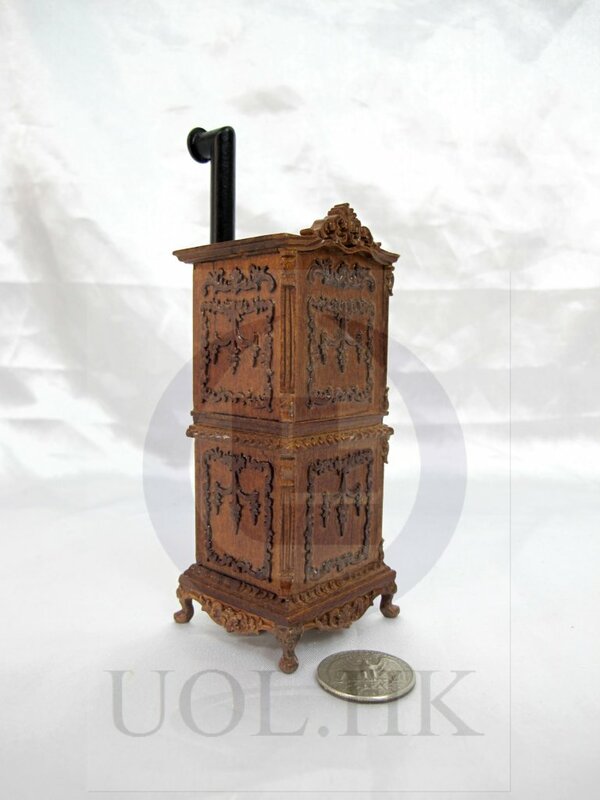 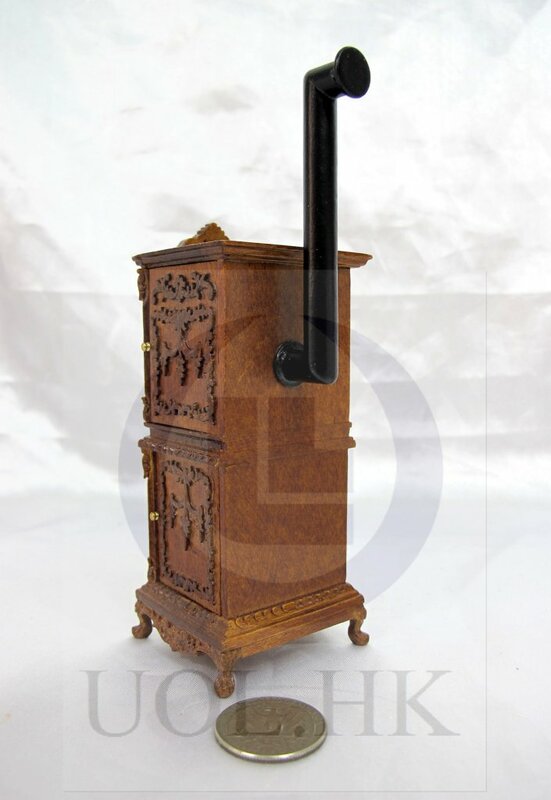 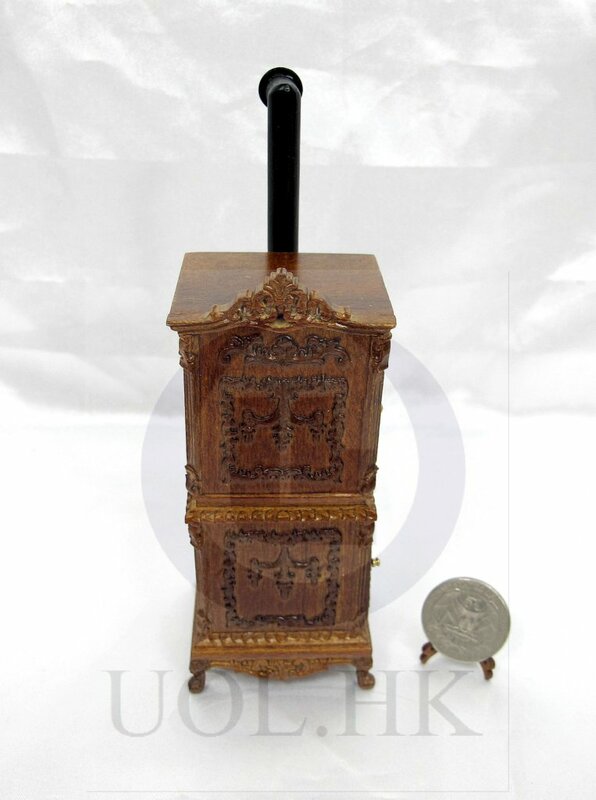 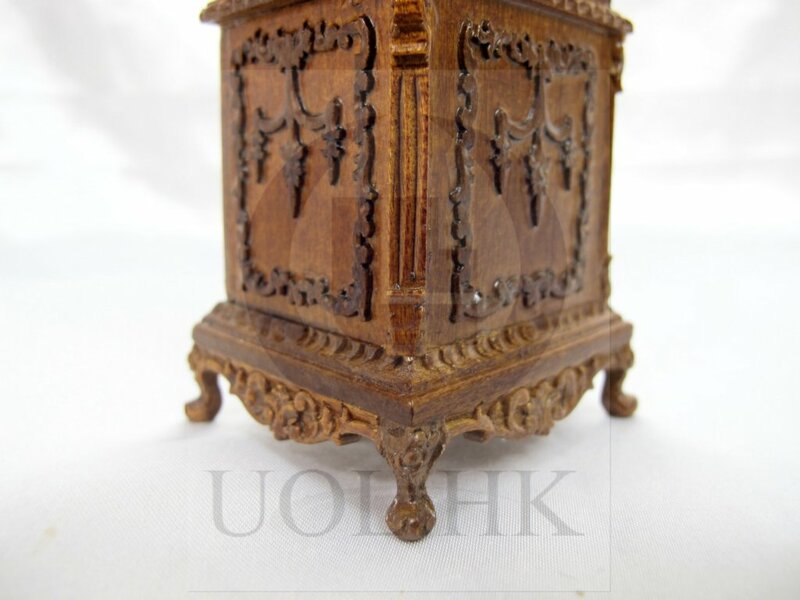 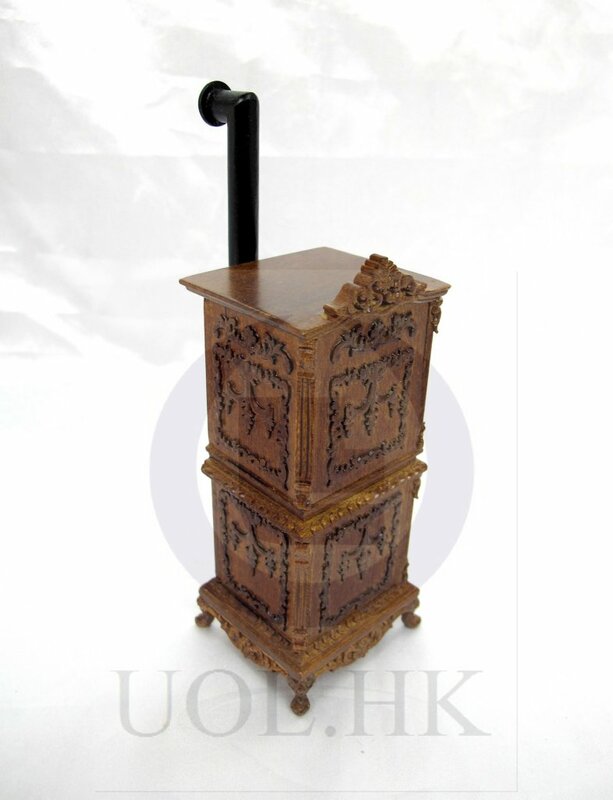 This Victorian stove made of wood, finished in walnut, two doors opened. 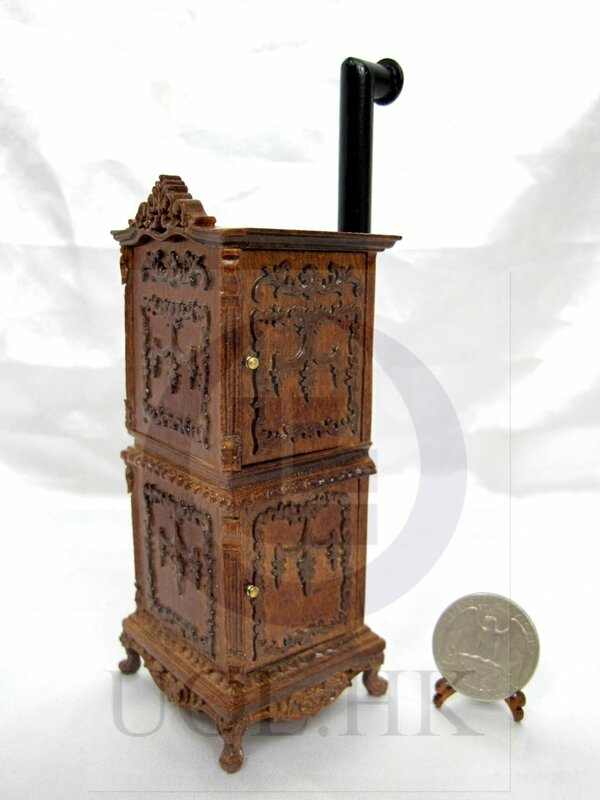 Black stovepipe made of wood too.